My sister Karen and I originally come from Port Augusta South Australia. Now Im living in the beautiful Jacaranda city of Grafton, NSW Australia. 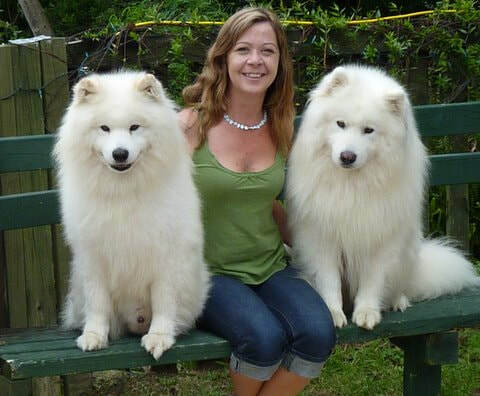 As children we had two beautiful Samoyed's, Anna and Ruff. They were both a gift from our Uncle Malcolm, both were breed in Adelaide, South Australia. 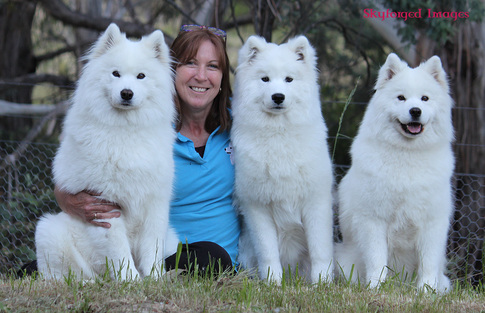 These two wonderful dogs were to start off our love for the Samoyed. One thing is that we never stop learning, not only from the Samoyeds them selves but from others around. The Samoyed is one of the most beautiful, loving, cuddly, forgiving, breeds with so much to give each minute of the day. along with their beautiful smiles, and t times their crazy personalities. 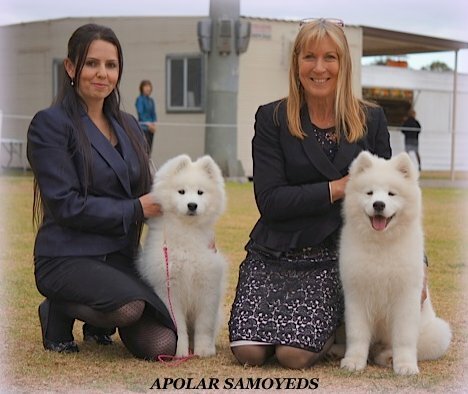 APOLAR SAMOYEDS ~ Breeders of Australian Supreme Champions ~ Australian Grand Champions ~ Australian Champions, We have maintained a every successful breeding program, in Selecting only the best males and females that are hip scored and elbow score also eye tested for our breeding. For the love of this breed as we aim to bred for breed type and soundness, along with beautiful healthy show dogs and wonderful family pets. 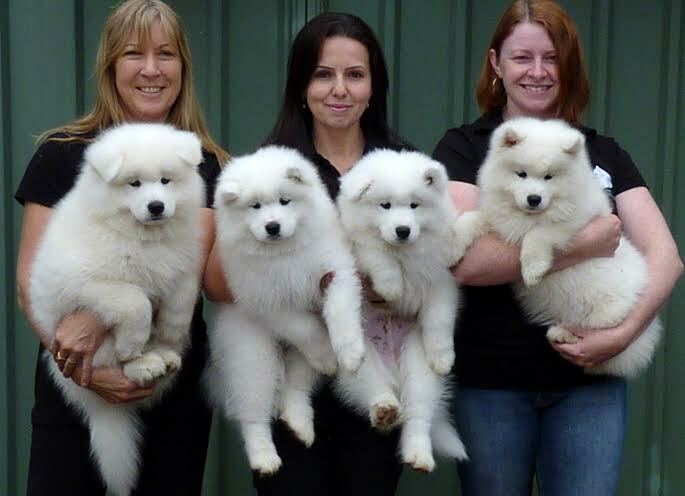 "Well when I first saw a Samoyed I was in love with this beautiful breed and just had to have one. Lucky enough I meet Julie and weeks later had a beautiful girl we called Coco aka Aust Champion Apolar Hollywood Rose. Not only did we instantly have a new addition to the family but made a great friend with Julie and a new interest into the breed . My husband and I have 5 boys so life is busy but when I can, I enjoy getting out to the show ring. Julie has been a wealth of knowledge teaching me about the breed and showing as well. I would highly recommend her to anyone wanting a quality Samoyed from a reputable breeder. 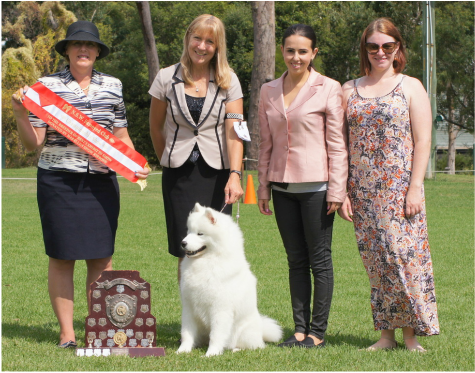 Julie , Rachael Baker and myself; a team of Samoyed lovers together showing, owning and breeding future champions and great companion pets hope to continue Apolar Samoyed's for many years to come." 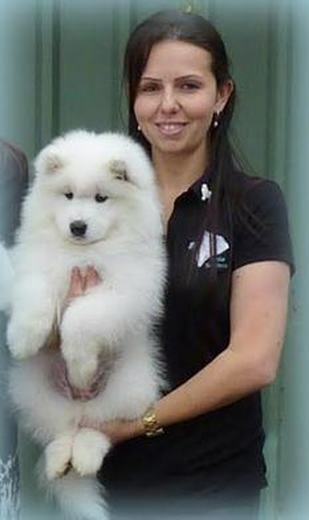 Our breeding has produced some of the best Samoyed's, here in Australia, also a Wonderful team of Beautiful show dogs. BIS.Ch Apolar Hollywood Rose (Coco) is also doing us proud at producing beautiful Champions. Apolar Rich Temptations (Juju) another beautiful girl of ours that also has produced Champions. Apolar Tease To Please (Petra) another beautiful girl producing Champions. Hopefully many more Champions to come, along with beautiful sound dogs, for pet or show. ​All our Puppies and Adults Dogs are feed on the wonderful Premium Pro Plan dog food. APOLAR dogs are bathed & groomed with the Essentials by ashley craig pet products.